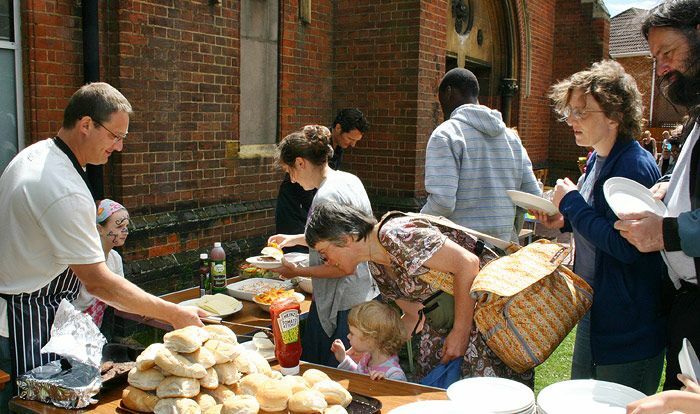 The Social and Fund Raising group was created in 2010 and one of its key aims is to strengthen a sense of community – by bringing people, whether members of the St Dunstan’s congregation or not, together on a more regular basis and outside of the services. For the smaller gatherings this is simply a chance to get to know each other better and often the first time people have got past the "hello" stage after church on a Sunday morning. 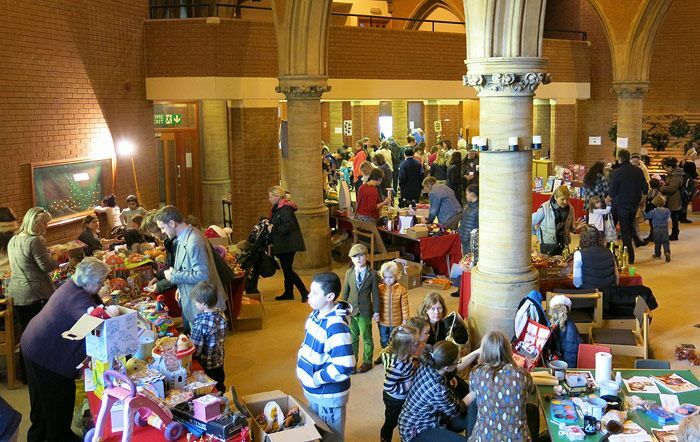 For the larger events, like the Christmas Fair for example, it is also a way to include and embrace the wider community as well as raise funds for the church itself and the charities that we support – another crucial role. The Social and Fund Raising group meet once every couple of months or so to plan events and are really open to new ideas so do please get in touch with any of us listed below if you have any ideas or would like to be involved in any way – whether it’s giving a talk or demonstration, helping with publicity, or being involved for one specific event only. Events arranged by the Social sub-group raise just over £5000 nett per year and it’s a tribute to the support and generosity of those embracing St Dunstan’s and a blessing for us and the charities that the Church community support. In March we have a Ladies Evening supper at the Station House on Churchfield Road. a chance for the women to get together for a purely social event (coincidentally it falls on Rachel Westall’s birthday – fortuitous timing!) and sees around 30 of us having the chance to eat and chat. In June we enjoy a Great British Quiz Night at St Dunstans. The Church Hall is decked in bunting and tables decorated. A fish and chip supper (what could be more British?) keeps everyone from going hungry and is a very welcome half way through the rounds. All in the name of good fun but if anyone says the St Dunstan’s crowd aren’t competitive they should think again! The annual barbecue is in July, as usual really good fun for all and is always a great community occasion. Lots of people pitch in and bring a fantastic array of salads and puddings so that the buffet tables are laden. If the The weather stayed dry, barbecues sizzle, children run amok and we all have a chance to relax, enjoy each other’s company and maybe chat to someone we might not have had the chance to before. The Christmas Fair, held around the beginning of December or end of November. We have expanded significantly over the last few years to include the fantastic St Dunstan’s Craft Stall, a jewellery stall, home made fudge stall, and a combined childrens and adult tombola. Thanks to Sylvia we have the joy of listening to "Bassett and the Allsorts" which add to the brilliant atmosphere. Nigel Middlemiss is, as usual, the Father Christmas to beat all others along with a completely fabulous elf called Esther! The kids craft table is always popular and Sue Bolton and Suzanne Madden are a credit to the kitchen with their delicious home made seasonal patés, soups and cottage pies amongst other goodies. Raffles are won, potential Christmas presents bought and treats had by most of those who attended.